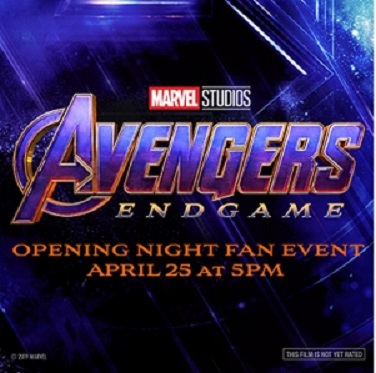 SynopsisOpening Night Fan Event! After events of Avengers: Infinity War, the universe is in ruins. With the help of the allies, the Avengers assemble once more in order to undo Thanos' actions and restore order to the universe. Now Playing At Choose a theatre Lee’s Summit 16 with Grand Screen®, MX4D® & screenPLAY!Liberty Cinema 12 w/ Grand Screens®, MX4D®, ScreenX, screenPLAY, and Lyric! Tulsa Starworld 20 w/ Grand Screens®, MX4D®, & screenPLAY!